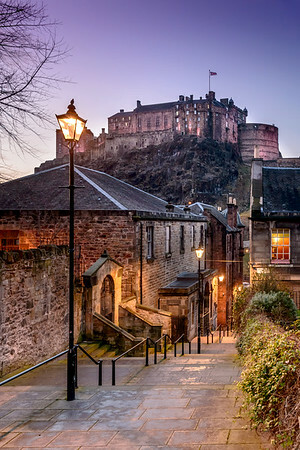 This is one I got of the Castle from the Vennel (which runs from the Grassmarket up to Lauriston Place). I love this view of the Castle, one which never gets old to me! I got this one just after the lights came on one evening, while there was still plenty of light in the sky!